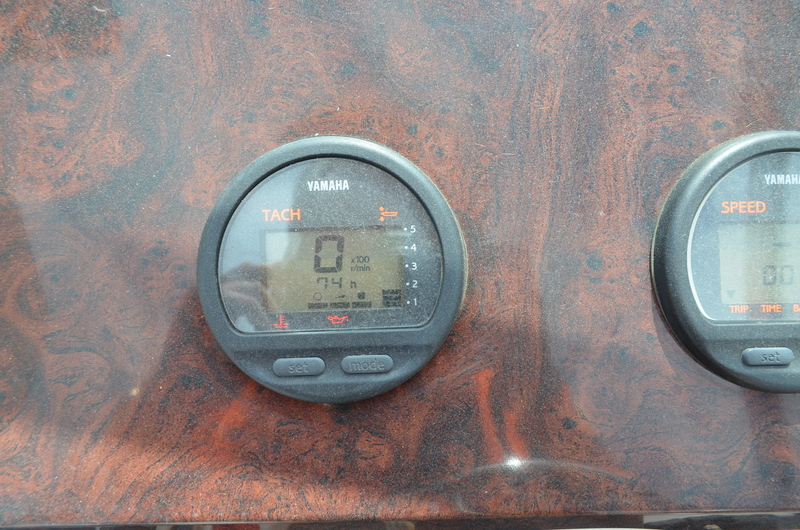 And sea conditions. Designed to take the keen fishos offshore to chase the big ones, and then the next day, load up family and friends for some fun in the sun. 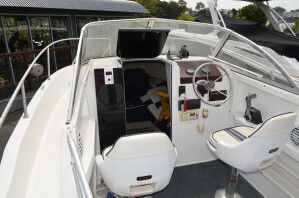 This 2007 commissioned Walkaround Whittley is a joy to drive and live with. High gunwhales, self draining cockpit, built in foam buoyancy for additional safety, incorporated kill tanks as well as a live bait tank, fitted tackle drawers, rocket launcher and rod holders, the list goes on. 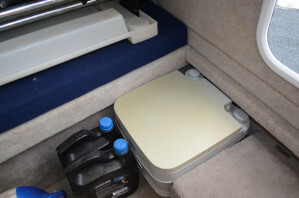 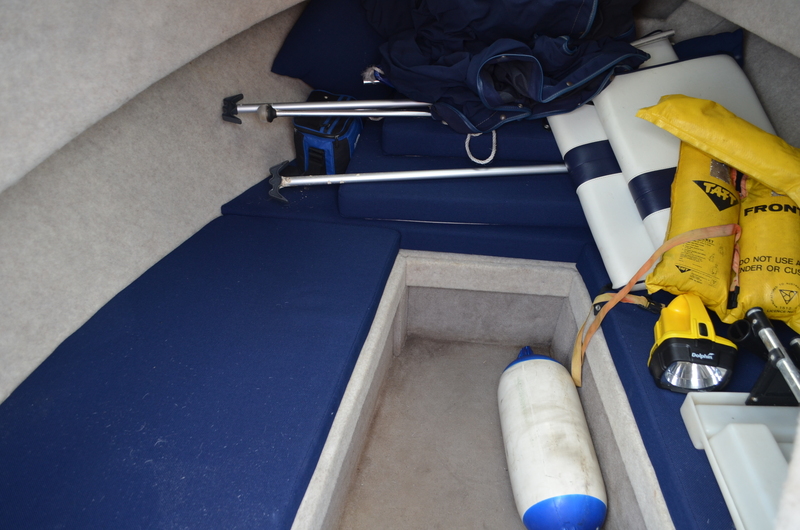 The cosy cabin accommodates two and she also has a porta potti, a must have for longer trips on the water. 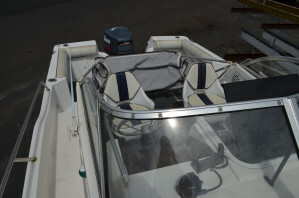 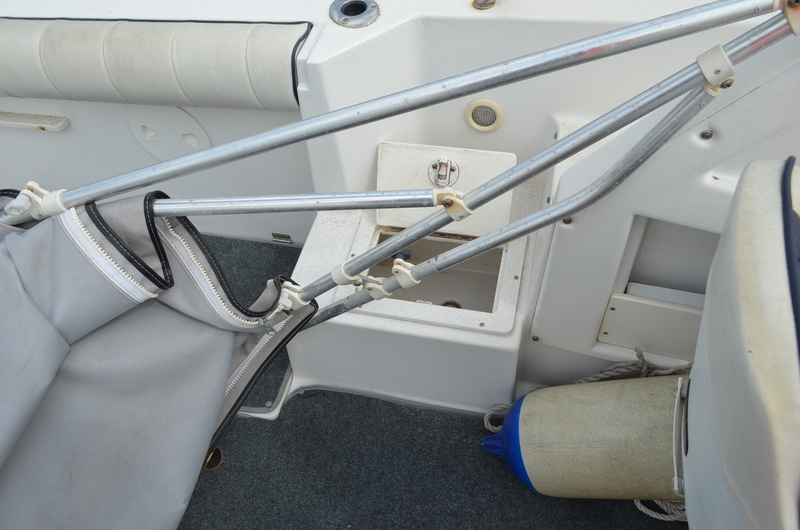 Of course, a bimini with an aft extension is part of the package. 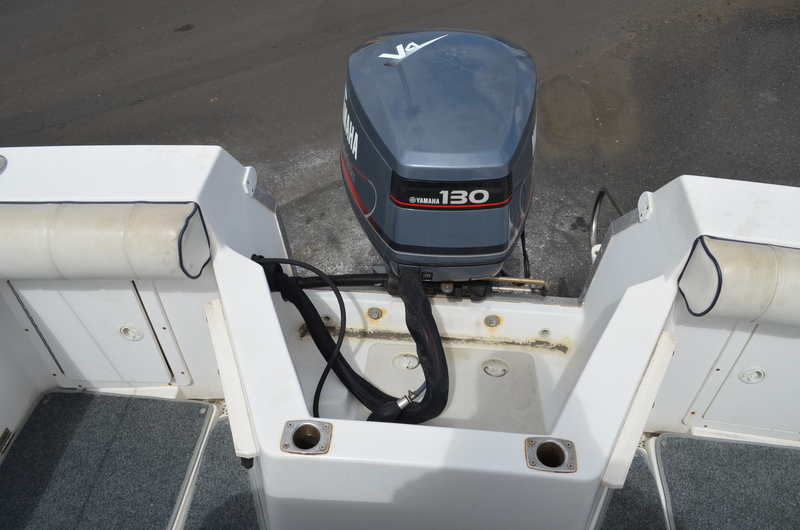 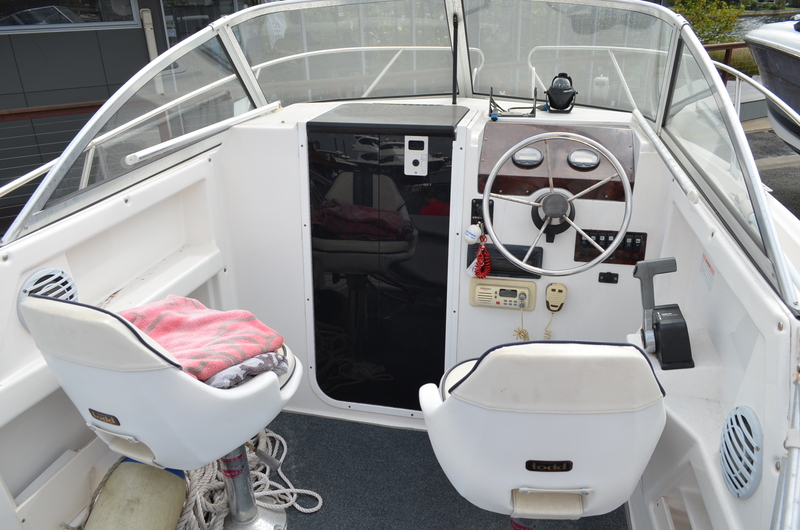 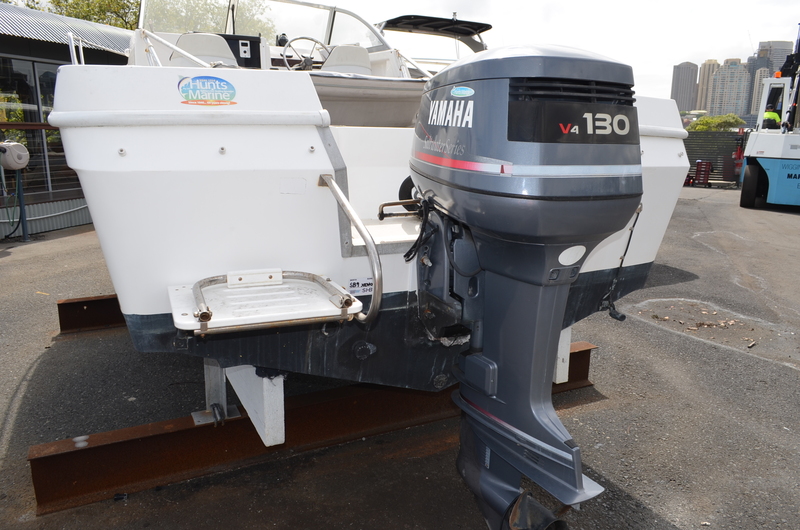 The two stroke Yamaha 130hp with a very low 74 hours pushes this well balanced rig to over 35 knots, with an extremely comfortable and economical cruise of 20 knots. Although currently kept in a dry stack, a new trailer can easily be purchased to make this a truly portable proposition. Worth a serious look if you are considering a Searay, Trophy, Bayliner, or any other type of Walkaround or centre console vessel that has true offshore capability. 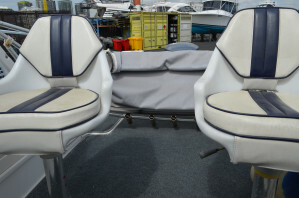 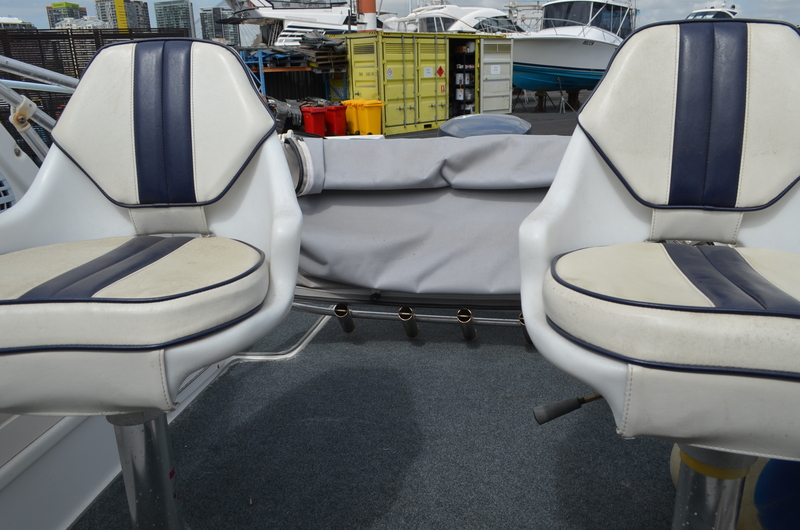 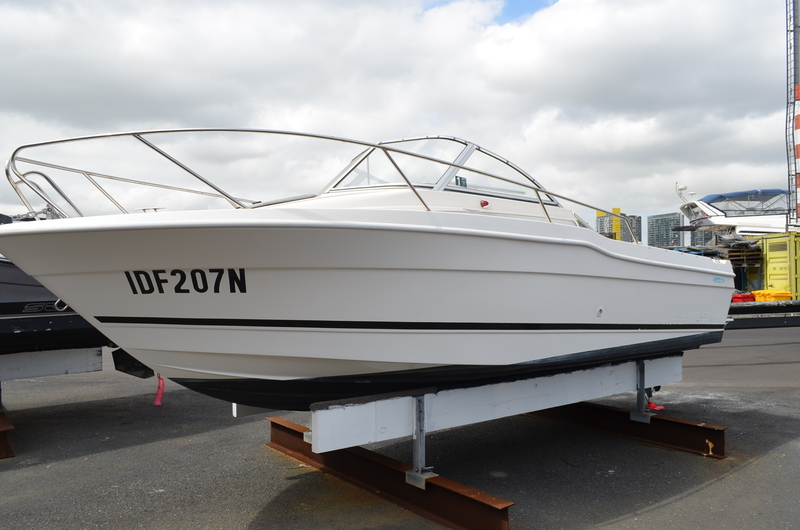 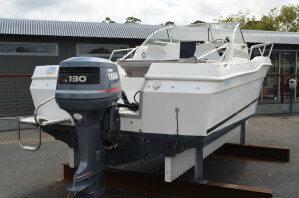 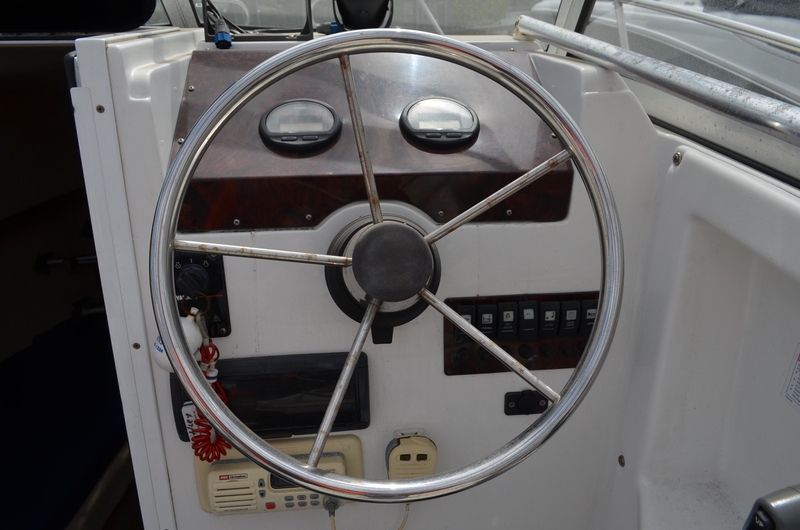 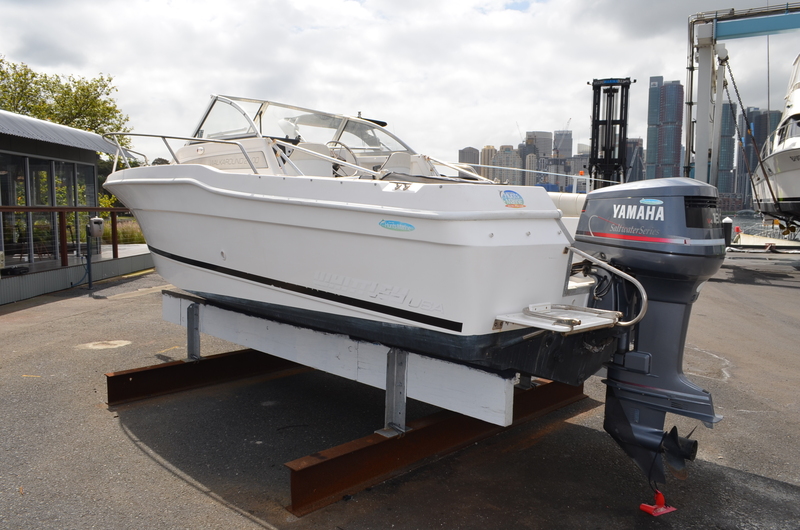 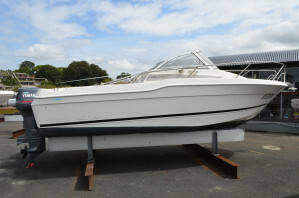 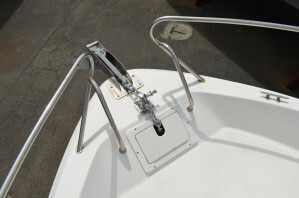 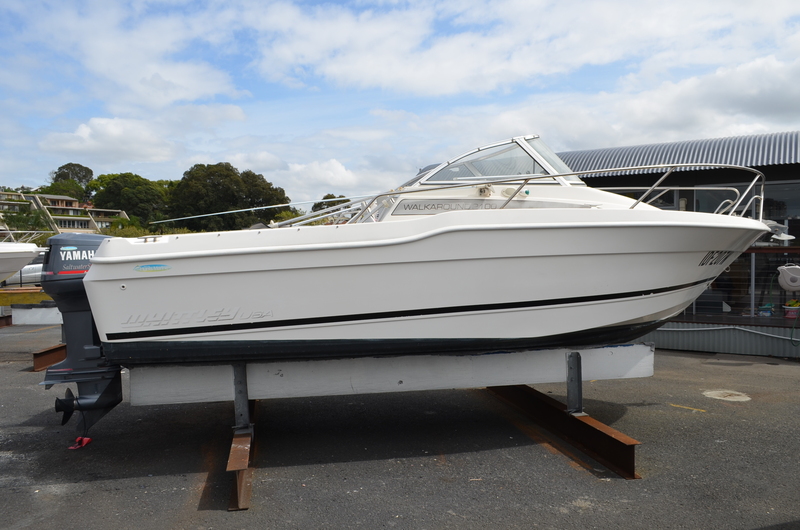 Contact the best boat brokers in Sydney to arrange a private inspection at your convenience. We are available 7 days by appointment.